Architecture has long defined London’s Hayward Gallery. 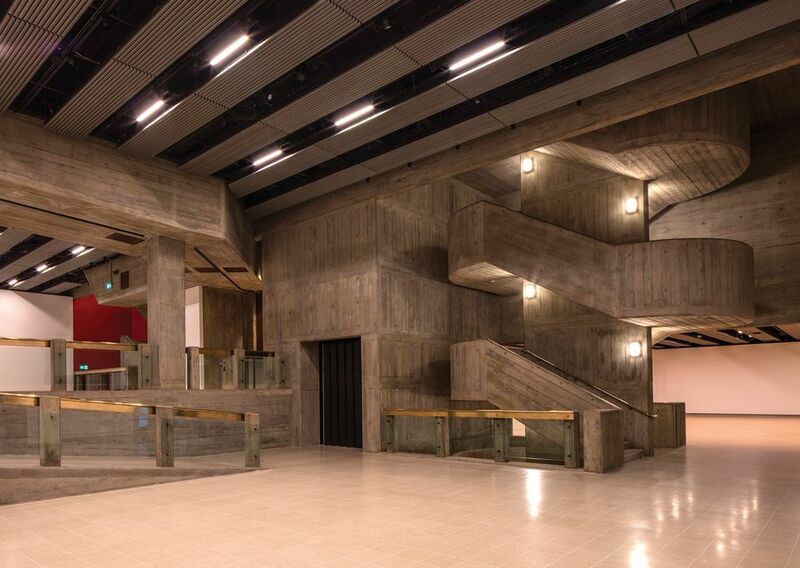 The Brutalist concrete building, designed by the radical 1960s architects of the 17-acre Southbank Centre complex, has weathered various demolition threats over the decades. Reopening this week (25 January) after a two-year refurbishment, the Hayward will celebrate its 50th anniversary year with a run of exhibitions exploring art’s relationship with architecture, says the gallery’s US-born director, Ralph Rugoff, who has just been named the artistic director of the 2019 Venice Biennale. The biggest element of the renovation harks back to an idea by an artist—the sculptor Henry Moore. Advising the Arts Council on the gallery’s construction, he demanded natural lighting. 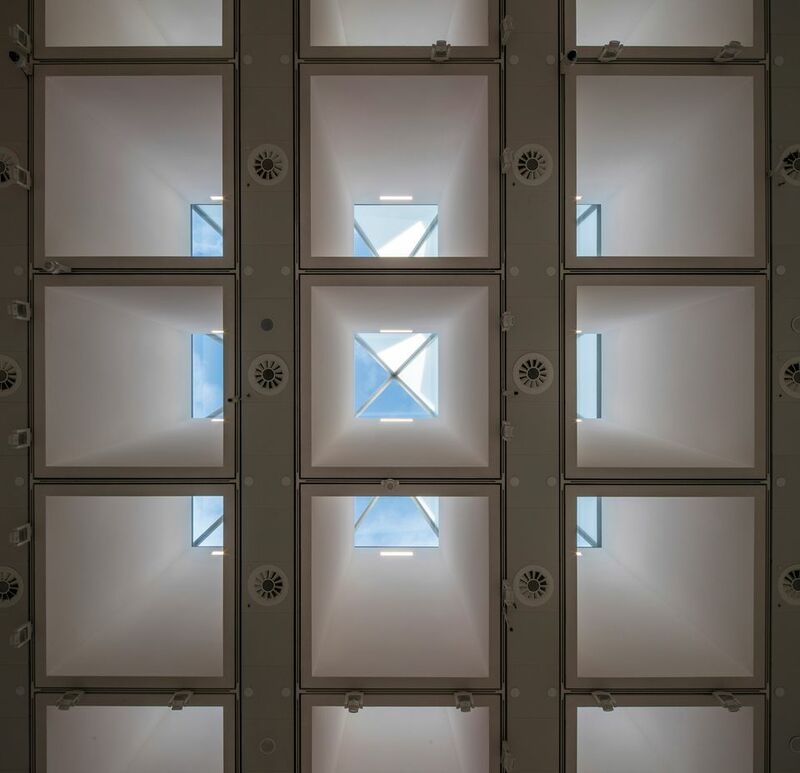 Sixty-six pyramid-shaped skylights were installed on the roof, but they leaked and the blinds never worked. The gallery opened in 1968 with a dropped ceiling of smoked Plexiglas that was “a real eyesore”, Rugoff says. 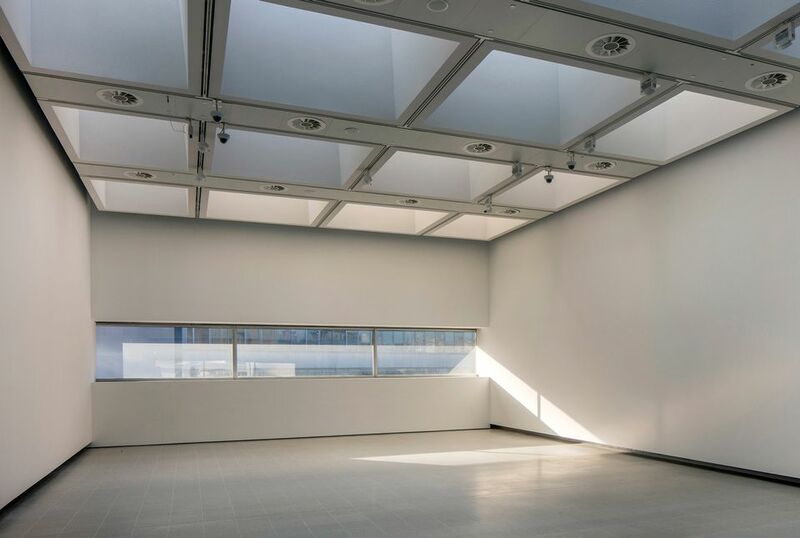 Stripping away the false ceiling has restored the gallery’s “incredibly striking, generous” proportions, Rugoff says, while retractable blinds will allow curators to control the flow of daylight to best effect for exhibitions. The facelift offers “huge scope for curatorial play and also for artists”, says Richard Battye, the project’s head architect. To announce the Hayward’s reawakening to passersby on the South Bank, a new commission by the artist David Batchelor illuminates the rooftop until at least late March. Sixty Minute Spectrum uses LEDs in each pyramid to run through the colour spectrum every hour, making it “a light work that you can tell the time by”, Rugoff says, adding that it may remain in place for “several years”. The new-look galleries will reopen with the first UK retrospective devoted to Andreas Gursky (25 January-22 April). “For the whole year, there’s a sub-theme of works of art engaging with architecture,” Rugoff says. “Probably half of [Gursky’s] pictures explore architecture as a subject.” The German photographer of pristine, large-format landscapes has made five new works for the show. The next exhibition will go to the Korean artist Lee Bul (Wayward Wander, 30 May-19 August), whose sculptures and installations draw on the legacy of utopian Modernist architecture. Lee “adores the building”, Rugoff says, and is planning a work for the facade that will be “like a glittering necklace” for the gallery’s 50th anniversary party on 7 July. The programme will culminate in a still-unannounced group exhibition of works that Rugoff promises “will change the way you relate to the building”. It remains to be seen how this will follow Psycho Buildings, his 2008 show of immersive artists’ environments, including Gelitin’s surreal boating lake and Tomás Saraceno’s inflatable observatory on the sculpture terraces.